Bhubaneswar: Odisha chief minister Naveen Patnaik on Friday announced a Rs 10,000-crore scheme for the overall development of farmers in the state. The state cabinet has approved the Krushak Assistance for Livelihood and Income Augmentation (KALIA) scheme, worth over Rs 10,000 crore, for the development of farmers in the state, the chief minister said. "The KALIA is historic and it will further accelerate agricultural prosperity in the state and reduce poverty," Patnaik told reporters after the Cabinet meeting chaired by him approved the scheme. Though the scheme did not have the provision of farm loan waiver, the chief minister said: "all the small and marginal farmers of the state (over 30 lakh) will be covered under the scheme." Patnaik said that "an amount of Rs 10,000 per family at the rate of Rs 5,000 each for Kharif and Rabi seasons shall be provided as financial assistance for taking up cultivation." The chief minister termed the opposition Congress's poll promise of farm loan waiver in Odisha as "ridiculous". He said that farm loan waiver may help a section of the farmers, but this scheme will cover 92 percent of cultivators of the state. "There are about 32 lakh cultivators in the state. Out of this, about 20 lakh have availed crop loan. The remaining 12 lakh have not availed crop loans. "Further the entire gamut of sharecroppers and landless labourers will not be covered under a loan waiver scheme," Patnaik said. The chief minister said "This component is not linked to the extent of land owned. It will greatly benefit sharecroppers and actual cultivators most of whom own very small extent of land. This assistance is for five crop seasons spanning three years from 2018-19 to 2021-22, so as to ensure comprehensive coverage." This apart, Patnaik said, the KALIA scheme also has a component for livelihood support for landless households. 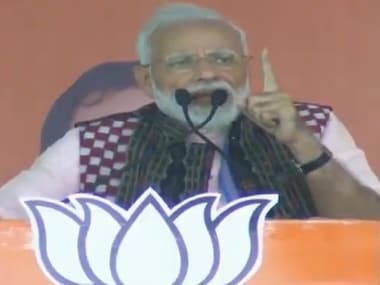 "Ten lakh landless households will be supported with a unit cost of Rs 12,500 to take up activities like goat rearing units, mini layer units, duckery units, fishery kits for fishermen and women, mushroom cultivation and beekeeping," he said. 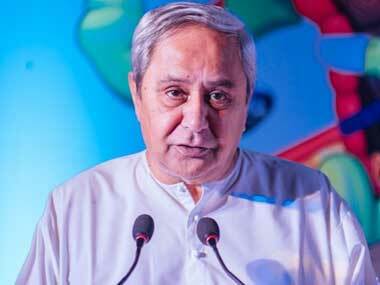 Patnaik said the landless households will have the option of selecting any of the units. The scheme, among others, will particularly benefit scheduled caste and scheduled tribe households. The chief minister said annual financial assistance of Rs 10,000 per household will be provided to take care of sustenance of farmers not able to take up cultivation due to old age, disability, disease or other reasons. Deserving families will be identified and selected by gram panchayats, he said. Patnaik said about 10 lakh households will be covered over two years under this scheme at a cost of Rs 100 crore. The KALIA scheme also includes life insurance coverage worth Rs 2 lakh, and additional personal accident coverage of Rs 2 lakh will be provided to both cultivators and landless agriculture labourers covering about 74 lakh households, the chief minister said. He also said the crop loan up to Rs 50,000 will henceforth be interest-free. "Under KALIA, an amount of Rs 10,180 crore will be spent over a period of three years till 2020-21. The scheme will be in reviewed in 2020-21 for further modification," the chief minister said. 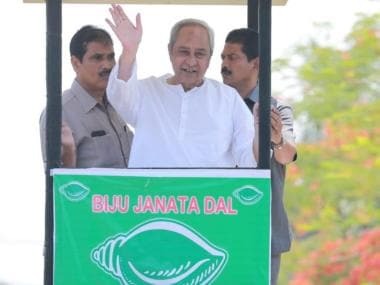 Patnaik said KALIA is a progressive and inclusive scheme and will make a direct attack on poverty by way of massive investment in this sector and making benefits reach beneficiaries through Direct Benefit Transfer (DBT) mode.